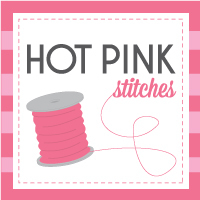 Hot Pink Stitches: Sew Modern Monday :: My First Bee Blocks! 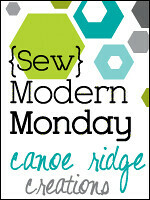 Sew Modern Monday :: My First Bee Blocks! My first bee blocks ever! I've always been super intimidated by bees. I mean, sewing blocks for other people with their precious fabric? What if I mess up? What if they don't like it? I didn't need this kind of pressure. 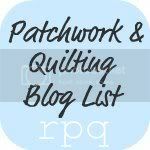 But then I met Amy (aka Sukie) at Sewing Summit and she told me all about her awesome bee, the 4x5 Modern Quilt Bee. 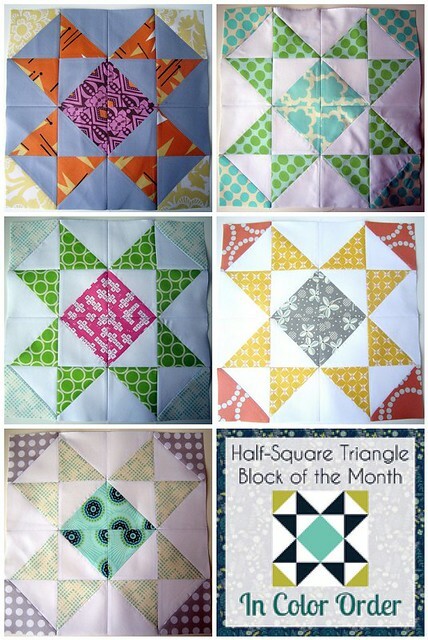 I would make just 5 blocks per quarter, from my own stash, and in a block of my choosing....um, awesome! I had a lot of fun making these blocks. The ladies in my hive had some really great color combinations, plus Jeni's block was so much fun to sew up! 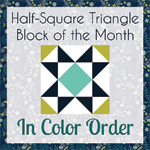 In case you didn't know, Jeni from In Color Order has started a super fun Half Square Triangle Block of the Month for 2012 and I couldn't be more excited to join in! After playing with all these bee blocks, though, I'm going to have a tough time deciding on what fabrics to use for my own block. They look great Elena! Sorry about the seam ripping but it looks like they were worth it! Great looking blocks and seam ripping is just part of the process. Or is that just me ? They're really beautiful! Great fabric choices! Seam ripping happens to me more than I like! They turned out beautifully thought. What a fun bee, I need to look into that! these look great, Elena! Jeni's tutorial is so crisp and clear if you read them. I made the same non-trimming mistake!